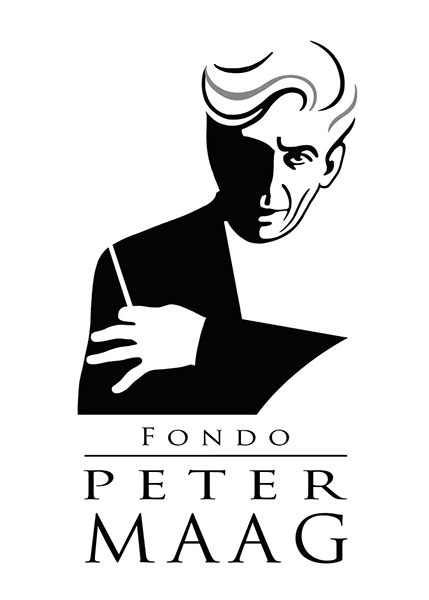 The Peter Maag Fund was established on November 26, 2012 in Verona thanks to Mrs. Marica Franchi Maag’s donation of the material from “La Bottega”, the renowned opera workshop created and established by the great Swiss orchestra conductor. Nicola Guerini, orchestra conductor and president of the Fund, has been officially and personally chosen by Mrs. Franchi Maag for the tutelage, cataloguing, artistic direction and organizational management of the Fund. Nicola Guerini wanted Verona – worldwide icon of the opera – to be the mouthpiece for the thought and spirit of Peter Maag, in searching for and developing talented young musicians. This important initiative has created permanent ties between the heritage of one of the greatest orchestra conductors of the late twentieth century and the city of Verona which knew and loved him for his art. In the context of this project, Verona has established a dialogue with the various seats of musical theatre to provide the setting for the “rebirth” of the famous “Bottega” – diapason of excellence, training and talent – with the heartfelt participation of artists of world fame, in collaboration with agencies and institutes of High Culture. Verona, official home of the “Bottega”, wanted to establish a cultural link with the city of Pesaro, International centre of the Opera – through a long term collaboration with the Filarmonica Gioachino Rossini Orchestra – host to the work-study programs and the master classes at the Teatro Rossini and the Teatro Sperimentale. This initiative, promoted by the Giorgio Zanotto Foundation, in collaboration with the Banco Popolare, is sponsored by the Veneto Region, the City of Verona, the Marche Region and the City of Pesaro and with the prestigious support of AMAT– Associazione Marchigiana Attività Teatrali (Marche Association of Theatrical Activities). The “Bottega” is one of the activities of the Peter Maag Fund which, in cooperation with the Società Letteraria of Verona, the Fondazione Accademia di Belle Arti of Verona, the “Sapienza” University of Rome, and the Giorgio Cini Foundation of Venice, boasts a committee of internationally renowned scholars such as Prof. Philip Gossett (honorary member), Prof. Gianmario Borio, Prof. Antonio Rostagno, as regards music studies, Prof. Manlio Pastore Stocchi, Prof. Ernesto Guidorizzi, and Prof. Rolando Damiani as regards literary studies.